We are proud of our Ambassadors - the work they do, the adventures they have - but most importantly, we are proud of the people they are. Currently we are not accepting new Ambassadors so we can focus on making great gear. If you have a special project that you think we can partner on please email info@seekoutside.com. 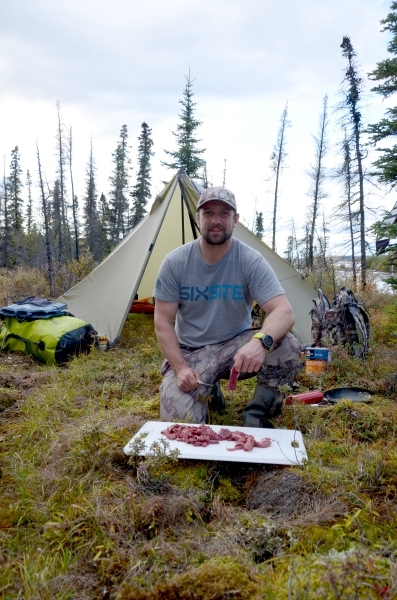 Ben Brochu has been hunting, fishing, trapping, and paddling in Northern Alberta since childhood. 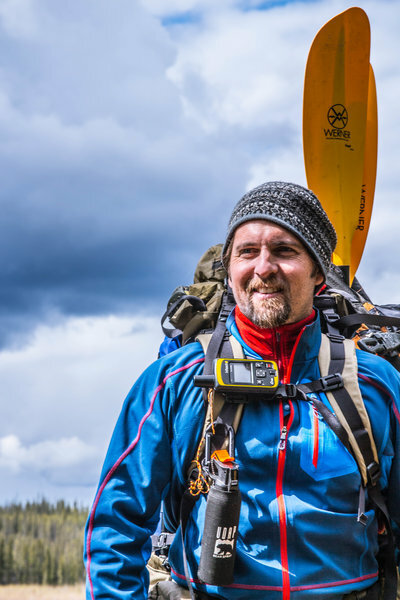 His passion for exploration has led him to travel to over 50 countries, undertake long distance canoe and hiking expeditions, and accomplish numerous first descents via packraft in the Canadian wilderness. As a father of 4 children, his delight is to pass on his love for the great outdoors and the skills that make enjoying it possible. His appreciation for quality lightweight gear led him to Seek Outside and he currently uses a Brooks pack and the Silvertip, Cimarron, and 8 man Tipi shelters. Clint grew up in Brookville, Pennsylvania where he learned to love and respect nature. He pursued wrestling to the University of Wyoming, and then University of Maryland. Clint was offered a position with Whitetail Properties Real Estate LLC in Eastern Ohio and Pennsylvania. Shortly thereafter, he was approached by Sitka Gear, he moved onto Six Site Gear; a high end outdoor clothing and gear company based out of Dallas Texas. He has had hunting experience across North America, including self guided archery moose, Caribou, Elk, and Mule deer hunts. Clint also obtained his assistant guide license at age 18 and guided 100% success rate on Dall sheep hunts in Alaska. Clint enjoys backpacking, whitewater rafting, mountain biking, and managing property for wildlife conservation. Corey Seemann is a professional big mountain extreme skier living in Whitefish, Montana. He loves spending every second outdoors in every season. Corey enjoys flying, backcountry bush planes, scouting for new zones to ski, and drag racing hydroplane boats! “Seek Outside tipis have helped me go deeper than ever before for prolonged periods of time and I could not have done it without them!”. He says the highlight of his life thus far was filming with Teton Gravity Research and representing brands like K2 Skis. We are excited for his new film Gray Wolf! Watch the trailer here. Troy and Kaysie Thomas live near beautiful Salmon, Idaho along the continental divide which gives them unlimited access to public land, along with their favorite stretches of wilderness and backcountry. You are most likely to find them outside reveling in their passion of hunting and searching for shed antlers. “Our primary style of hunting is DIY, backpack hunting in remote and rugged areas.”. They hunt in multiple states throughout the West every year, and look for shed antlers over six months out of the year! 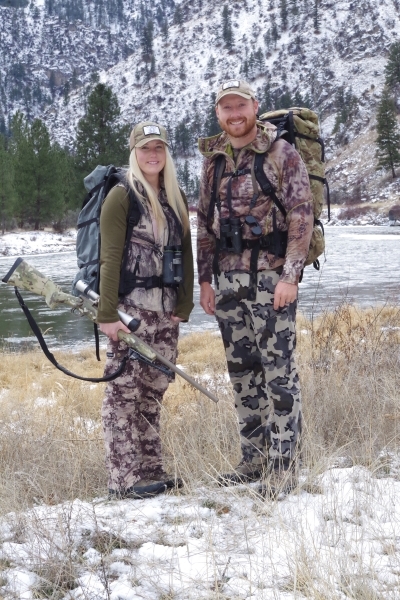 Because of their passion for big game hunting, shed hunting and our public lands they started a small business that allows them to carry out their dreams of living and working in the great outdoors. Since 2001 Dave and Amy Freeman have traveled over 30,000 miles by kayak, canoe and dogsled through some of the world’s wildest places, from the Amazon to the Arctic. 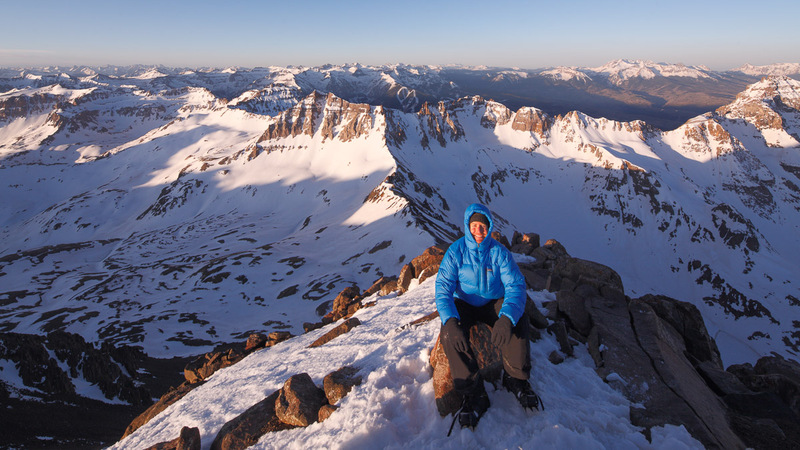 National Geographic named Dave and Amy Adventurers of the Year in 2014 and their images, videos, and articles been published by a wide range of media sources from the CBC, NBC, and FOX to the Chicago Tribune, National Geographic, Outside, Backpacker, Canoe and Kayak, and Minnesota Public Radio. On September 23rd, 2015 they paddled into the Boundary Waters Canoe Area Wilderness in northern Minnesota determined to spend a whole year in the Wilderness raising awareness about the threats a series of proposed sulfide-ore copper mines pose to our nation's most popular Wilderness. They didn't cross a road, enter a building, flush a toilet, or flip a light switch for 366 days. The Freemans are memorable speakers and skilled educators who use their wilderness journeys to inspire, educate and entertain a diverse range of audiences, from armchair adventurers and k-12 students to business leaders and seasoned wilderness travelers. They use exploration to highlight life lessons, conservation, and backcountry skills that benefit a varied audience. 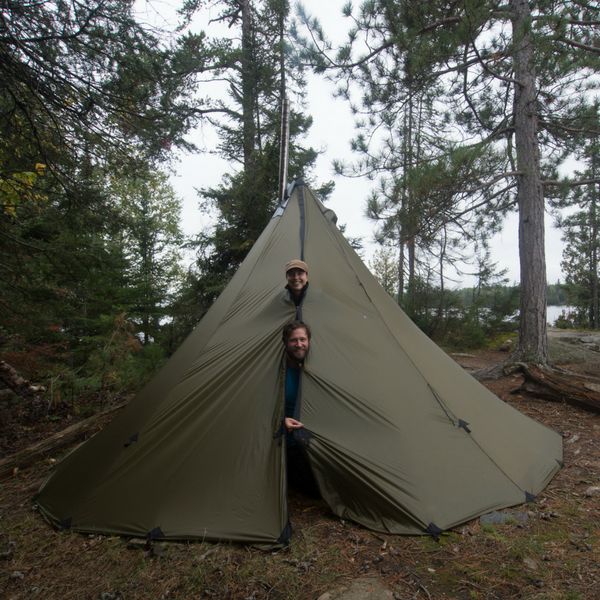 When Dave and Amy aren’t on expeditions or speaking tours, they guide canoe, kayak and dogsled trips near their home on the edge of the Boundary Waters Canoe Area Wilderness in Northern Minnesota. The Freemans also run the Wilderness Classroom, an educational nonprofit organization that introduces kids to wild places and unique cultures. They actively engage thousands of elementary and middle school students in their expeditions using the internet and live school programs. During their 11,700 mile North American Odyssey they actively engaged over 85,000 students through www.wildernessclassroom.org; and worked directly with over 25,000 students during school assemblies. Emily has lived in Utah her entire life but it wasn't until a few years ago that she discovered how amazing the mountains are. 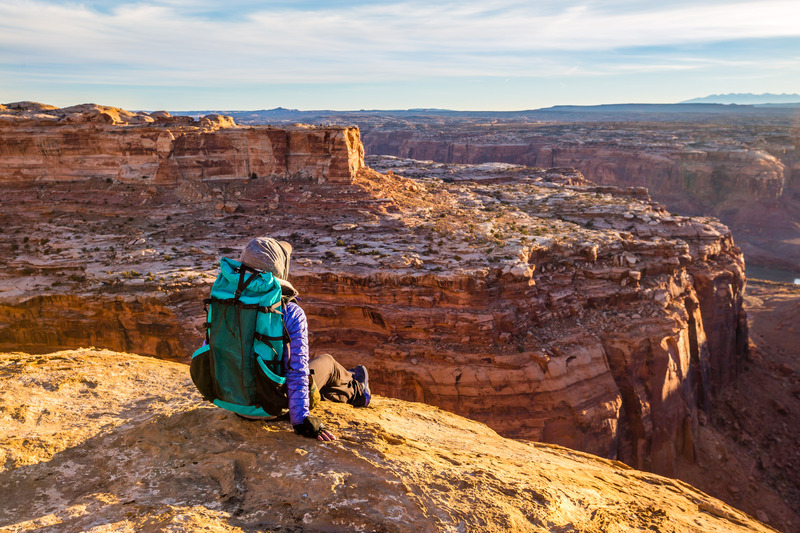 She started hiking as a way of cross training for a marathon and fell in love. The hiking led to camping, which led to backpacking, and now Emily tries to get out as much as she can. Her most epic trip so far was a three week road trip through Montana and Alberta, Canada. The trip included 4 days of solo backpacking in Glacier National Park, lots of car camping, and a few nights backpacking in Mt. Robson Provincial Park, Canada. Growing up in Bozeman, MT Josh’s family was constantly engaged in outdoor recreation of all sorts: hunting, fishing, skiing, riding motorcycles, waterskiing and more. Backpacking was notably missing from his recreational repertoire mostly due to the good fortune of having a family cabin on a lake with nearby access to mountains. It wasn't until the late 2000's that Josh began backpacking in the summer as a way to spend quality time with his wife and scout potential hunting spots. “It became quickly apparent to me that it would be highly advantageous to have ultralight gear that was also capable of handling rough Montana weather.” Josh says. 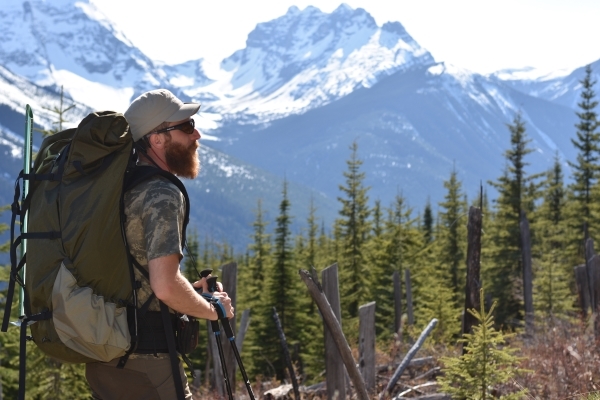 After packing out a cow elk with an inadequate backpack in the fall of 2010, he began the search for a lightweight hunting pack that could properly handle the heavy weights required to pack elk. This quest eventually led him to purchase a Seek Outside pack. After moving to Boise, ID in 2012, he joined the conservation group Backcountry Hunters & Anglers (BHA) and began actively volunteering. 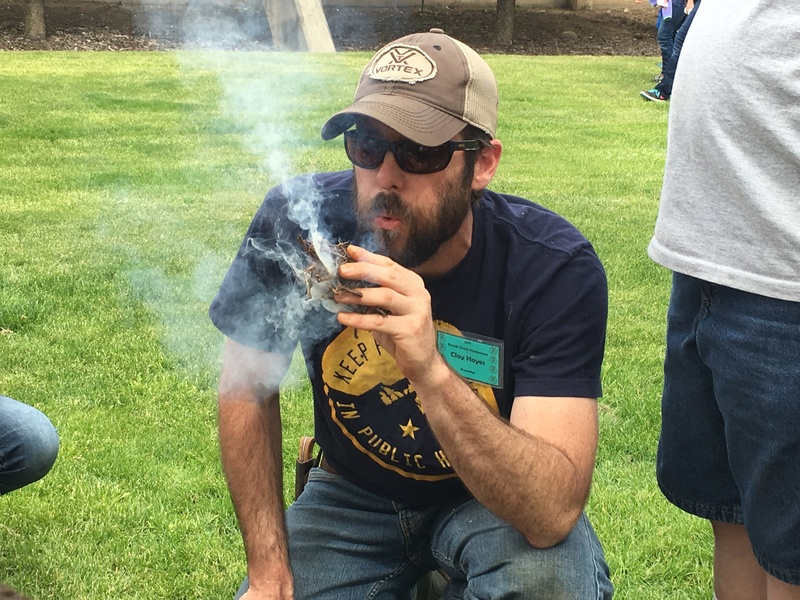 Josh currently serves as a co-chairman of the Idaho chapter of BHA and assists the national BHA staff with planning and executing the annual BHA Rendezvous. Since 2002, he have owned a small business called Recreation & Event Services, which specializes in providing logistics and hospitality for a wide spectrum of special events. When not running my business or volunteering for BHA, Josh enjoys nothing more than exploring the remote alpine basins of the West with a camera, binoculars, bow and first-class backpacking equipment. While professionally going by his alter ego as mild-mannered, Dr. Palmer, executive leader and Director of Child & Youth Development for a regional tribal health and native association; DB Palmer comes from a winemaking family in Southern Oregon (Fiasco Winery) and is better known as Backcountry Professor (@backcountry_professor), the founder of Expeditionary Film School Alaska. 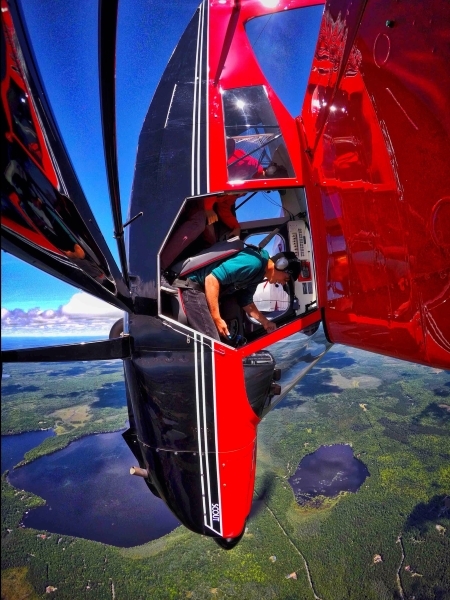 He and his wife, Greta (@alpine_greta), of over 20 years, have five adventurous kids, 9 Inuit sled dogs, and are living the dream in the Copper River region of interior Alaska. Having led treks across the western United States, Canada, and Alaska for 20 years; DB & Greta, got their start as Guide/Naturalists with Wintergreen Doglsed Lodge in Ely, MN, where they grew up around a wild band of adventure leaders and mentors, the likes of Dave & Amy Freeman, Mark & Paul Schurke, Lonnie Dupre, & Will Steger. 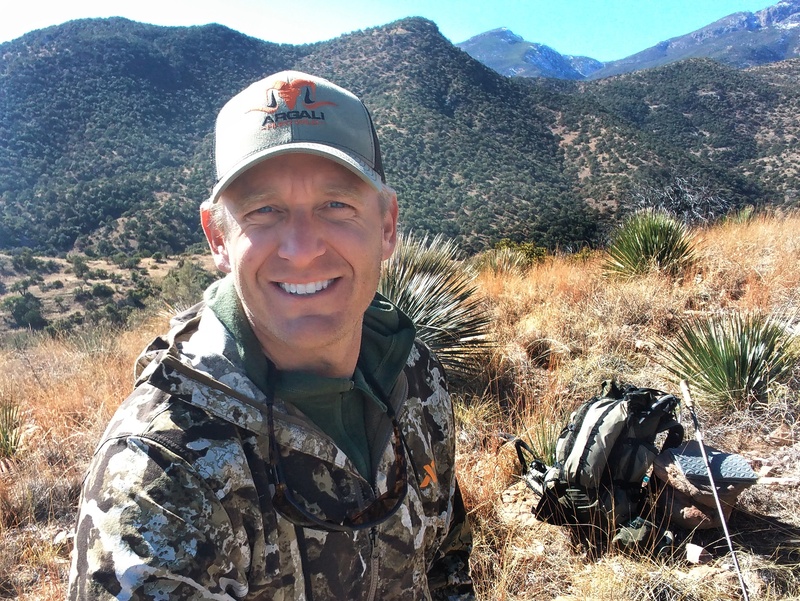 DB's passion took a different path than professional exploration, and he delved into the field of Wilderness-Based Psychology. His interest in utilizing the wilderness as a place of personal growth and learning eventually connected with his academic pursuits, leading to his early career as a Professor of Outdoor Leadership, and then as an executive leader for a regional tribal health organization, where he is able to fully incorporate a wilderness ethic within an integrated healthcare model. Dr. Palmer's love of storytelling, which began as a field instructor and matured through his work as a psychotherapist, and fostered a love for telling stories via film. It was through this combination of interests that he was able to create the first regionally accredited degree program in Adventure Filmmaking in the country. As an adventure filmmaker and producer/editor, DB Palmer focuses his professional work on Expeditionary Film School Alaska. He is regularly sought out as a film festival judge, and makes it a point to say "Yes! ", every year, to the Irish Adventure Film Festival. 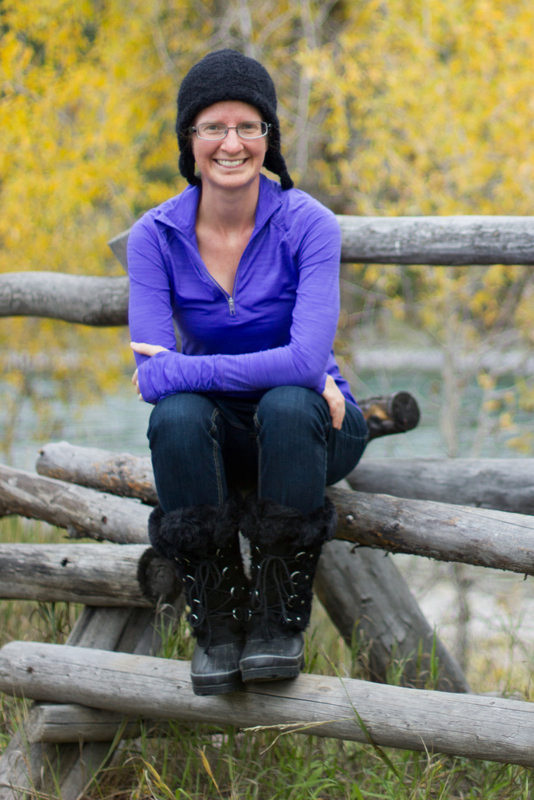 DB is an avid winter traveler as a Nordic skier and dog-musher. Living in Alaska, DB and his family participate in subsistence hunting, fishing, and harvesting. As a career-long paddling instructor for various crafts, DB and his son Liam (@Nordic_Liam), are very active in the packrafting and paddling world, such as the 444 mile Yukon River Quest canoe race. DB is always looking to connect with adventurers and filmmakers, and his freelance work (www.expeditionaryfilmschoolalaska.com) with his son Liam, is designed to work with adventure filmmakers of all skill levels on projects to share with family and friends, or with the world. If you have an adventure film project that just don't know how to finish, or better yet.. are looking for tips or support for how to film your next adventure, you should definitely reach out to our very own Backcountry Professor, Dr. DB Palmer. Many of us introduce ourselves in terms of our occupation, and sometimes our passion. For Clay, it’s one in the same – wildlife biologist, conservationist, bowhunter, writer, artist, outdoorsman. Clay Hayes grew up in the piney woods and swamps of Florida but soon found his way west to the mountains of Idaho. After a ten year stent as a wildlife biologist with Idaho Fish and Game Clay decided to go his own way. From his home in North Idaho he gives bow building lessons, produces bowhunting and outdoor educational content for YouTube and works as a freelance videographer. Clay spends anywhere from 40 to 90 days afield each year, much of that time in Idaho’s backcountry and wilderness areas. Although he does hunt with a rifle or shotgun on occasion, most of the time you’ll find him stalking the woods with an osage selfbow. Jack Brauer is a professional photographer based in the San Juan Mountains of southwest Colorado. Specializing in mountain landscapes, Jack makes most of his photos while hiking and backpacking in remote wilderness areas. Though his favorite mountains are the San Juans and the Rockies in general, he has also trekked in a variety of mountain ranges around the world, including the Alps, Andes, Himalaya, Yukon, New Zealand, Scandinavia, and the Balkans. One of the challenges for a backpacking photographer is carrying heavy camera gear in addition to all the other camping equipment. To address this issue, Jack teamed up with Seek Outside to help refine some of the details of the Unaweep Exposure, a panel loader backpack which carries a heavy load exceptionally well while also allowing quick access to camera gear inside the pack.